 This report outlines critical aspects found for increased fiber-to-fiber recycling from a stakeholder’s perspective. The interviewed stakeholders from the fashion companies, textile sorters and textile recyclers generally stress the importance of investigating the barriers to fiber-to-fiber recycling. The current situation does in their view not offer possibilities to handle used textiles in an economic and resource efficient manner. It was also concluded that different stakeholder groups rank the critical aspects differently. The differences in the ranking indicate that each stakeholder group sees the responsibility (or ability) to overcome the main obstacles in other parts of the textile value chain. There is a clear need for increased coordination and exchange of information across the textile value chain. Therefore policy measures with intent to increase fiber to fiber recycling of textiles must include the whole value chain. 43 critical aspects for increased fiber-to-fiber recycling of textiles were identified, among those; use of mixed textile fibers in textile products, presence of non-textile materials in textile products, quality of textile fibers for recycling, lack of economic viability of textile sorting and recycling, market prices for recycled textile fibers, trade barriers for textile waste, availability of textile recycling technology, lack of information regarding content in textiles for recycling and lack of guidance on ownership of used textiles/textile wastes. When asked about the most and second most important aspects for increased fiber-to-fiber recycling of textiles, the stakeholders highlighted aspects related to markets and technology. The identified aspects addressed the textile waste entering the recycling process, the recycling process itself and the recycled textile fibers leaving the recycling process. Depending on which part of the market the stakeholder is active, the ranking of impacts of the critical aspects for fiber-to-fiber recycling of textiles shifted showing the result that the stakeholders ranking were connected to their own core business. Sorters rank market related aspects the highest, recyclers rank aspects regarding material input the highest and fashion companies rank technology related aspects the highest. The differences in the ranking of individual aspects indicate that each stakeholder group sees the responsibility (or ability) to overcome the main obstacles for increased fiber-to-fiber recycling of textiles in other parts of the textile value chain. This, in turn, indicates strong dependencies and interconnections along the value chain, where e.g. fashion companies are depending on high quality recycled materials, recyclers are depending on clean and well sorted fractions and sorters are depending on existing re-use and recycling markets for their materials. This result indicates that there is a significant need for increased coordination and exchange of information across the textile value chain. Increased fiber-to-fiber textile recycling must not be reduced to a waste problem. The challenge of increasing fiber-to-fiber of textiles cannot be met by a single stakeholder group or on a single place in the textile value chain. On the contrary, a holistic perspective must be used in terms of textile products entering and textiles wastes circulating in the value chain. The research has been conducted through in-depth interviews with representatives from fashion companies, textile sorters and textile recyclers. The interviewees were asked to identify critical aspects, which were subsequently categorized, grouped and ranked. The identified aspects were grouped into 16 subgroups in four main categories; material input to recycling, markets, technology and information. Further, they were clustered as to their main influence on the value chain regarding textile waste entering the recycling process, the recycling process itself or the recycled textile fibers leaving the recycling process. The identified critical factors for increased fiber-to-fiber recycling will serve as important background information for the subsequent Task 4.3.7 in Mistra Future Fashion Phase 2. Task 4.3.7 includes identification of a selection of policy measures promoting both reuse and fiber-to-fiber recycling of textiles. Two policy measures (or combinations of policy measures) will be selected for impact assessment with regard to Sweden and the Swedish fashion industry. 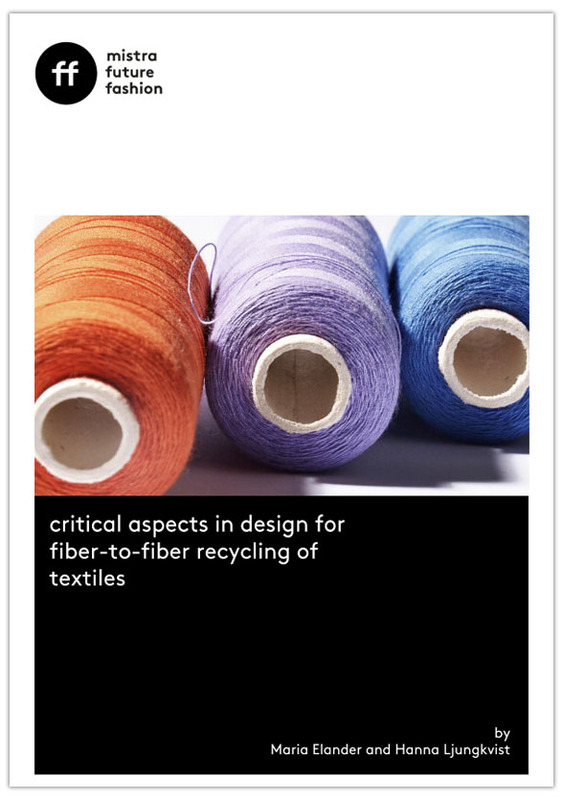 Elander M., Ljungkvist H (2016), Critical aspects in design for fiber-to-fiber recycling of textiles, a Mistra Future Fashion report phase 2.